James Maxey is an English Solicitor Advocate and CEDR Accredited Commercial Mediator. He has worked collaboratively with CastaldiPartners since 1998, and took up a consultancy with the firm in 2016. James Maxey is based in London and also heads the Dispute Resolution team of UK law firm Buckles Solicitors. James was admitted to the Irish Roll of Solicitors in 2017. He is a partner with Buckles Solicitors LLP, an English law firm that operates in association with CastaldiPartners. 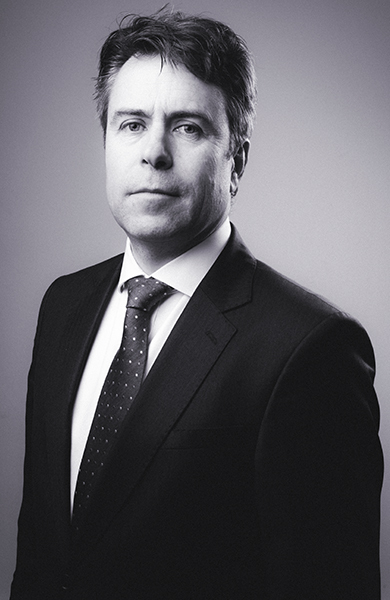 James Maxey joined an English law firm in 2002 and qualified as an English Solicitor in 1994, specialising in commercial litigation and dispute resolution since that time. His experience includes conducting a wide variety of commercial cases for clients based in the UK and overseas, in sectors as diverse as manufacturing, engineering, IT/IP, retail, financial services and food/agriculture, and on issues arising out of national and international trading relationships, shareholder disputes and mergers/acquisitions. He works with UK and international clients to resolve their disputes adopting solutions which are aligned to the commercial objectives of the client, as well as the available legal options. He is accustomed to supporting in house legal teams based in the UK and overseas. As an active mediator, James is in an ideal position to guide clients through the English pre-action protocol obligations, maximising outcomes pre litigation as well as through litigation, arbitration or other formal processes. James Maxey works in English with basic French. Acting for a global travel & currency exchange company on injunctive proceedings relating to commercial fraud. Acting against the Secretary of State for the Environment to clarify the definition of private carriage road and associated public rights of way. Acting for the successful American claimant in a patent infringement action against a French company, with contested liability and a subsequent enquiry into damages, both elements being separately appealed to the Court of Appeal. Acting for an international publisher of magazines in various leisure and professional sectors in the resolution of a variety of copyright, defamation and related commercial issues. Acting for the manufacturer of regulated medical devices in a supply dispute with a Puerto Rican trading partner. Acting for a minority shareholder in a construction company and successfully obtaining permission to bring a derivative claim under the Companies Act 2006. Acting for an Italian white goods manufacturer in litigation against the provider of consumer extended warranties insurance for its products. Acting for an Italian service company against a French joint venture partner for breach of good faith provisions in the joint venture agreement to deliver outsourced UK government department support services.